The Battle of Loos took place on the Western Front between 25 September and 13 October 1915. At the time, it was the largest British offensive of the First World War and witnessed the Army's first use of gas. On 25 September 1915 the Allies launched a new joint attack on the Western Front. The French went on the offensive in Champagne and Artois, while the British fought at Loos. The operation there saw the first major attack by the volunteer soldiers of the New Armies. 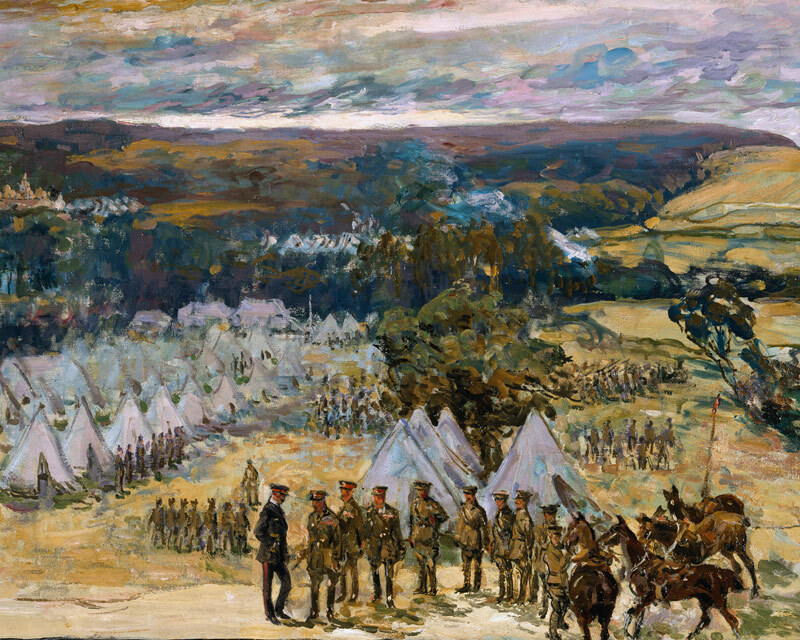 Fresh troops made up of territorial soldiers, reservists and volunteers from Lord Kitchener’s New Army, began to arrive on the Western Front in 1915. Although enthusiastic, many had very little training and were unprepared for trench warfare. 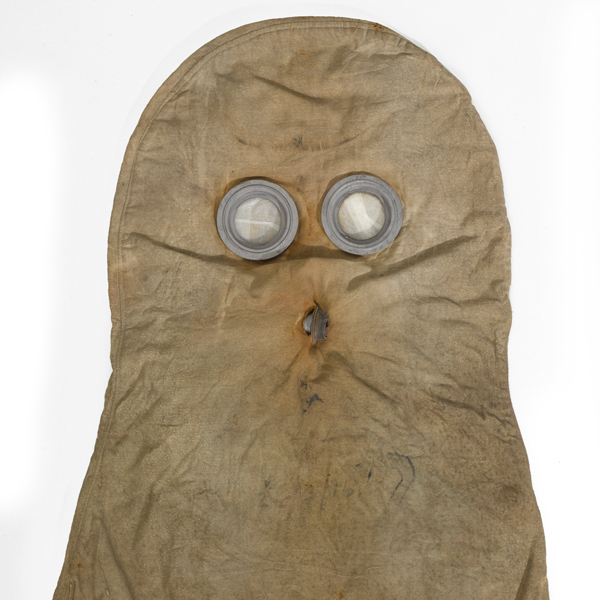 Earlier in the war, the British condemned Germany’s use of gas on the battlefield, but in seeking a new way to break through they decided to use chlorine gas for the first time to support their advance at Loos. The gas was released from cylinders by special units from the Royal Engineers and hour before the infantry attacked. Unfortunately, the weather proved fickle for the British and in some places the gas blew back into their trenches. In other parts of the line, the gas lingered in no-man’s land causing confusion. 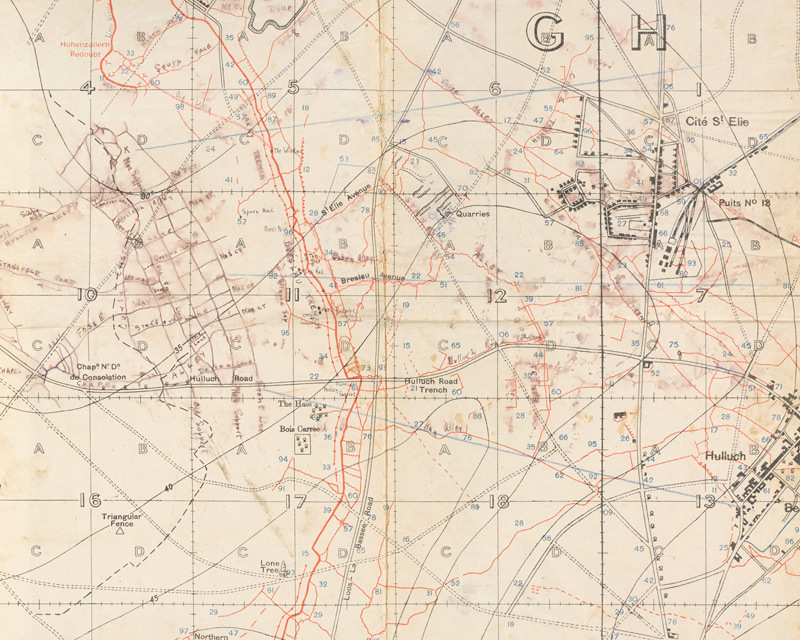 Despite heavy casualties resulting from uncut wire, by the end of the first day the troops had succeeded in breaking into the enemy positions near Loos and Hulluch. Supply and communications problems, along with the late arrival of reinforcements, meant that the breakthrough could not be exploited over the following days. The attacks ground to a halt and by 28 September the Germans had pushed the British back to their starting points. The offensive demonstrated that although it was possible to break into the German positions, it was not so easy to convert this kind of local success into a major breakthrough. It also showed that a much heavier artillery bombardment with more ammunition was needed. Likewise, better communication with reinforcements was essential. 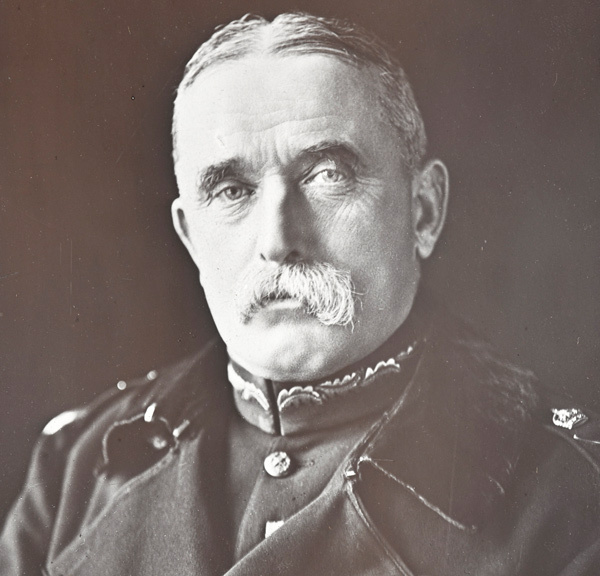 The failures of the battle forced Field Marshal Sir John French to resign as commander of the British Expeditionary Force. He was replaced by General Sir Douglas Haig. Around 2,600 British men were registered as casualties as a result of the failed gas attack, but very few died. Altogether the British Army suffered over 50,000 casualties at Loos, almost double the number of German losses. ‘Have you news of my boy Jack? When d’you think that he’ll come back? The author Rudyard Kipling’s son John was declared missing in action during the battle. His poem ‘My Boy Jack’, written shortly after, explores themes of loss. Devastated after searching for his son’s remains, he became an advocate of the Imperial War Graves Commission. The 1916 Somme offensive was one of the bloodiest battles of the First World War. But it provided the Army with a tough lesson in how to fight a large-scale modern war. We explore some of the weapons used by the British Army on the Western Front during the First World War. The German Spring Offensive saw mobile warfare return to the Western Front. Despite early gains, the Germans exhausted themselves, setting the stage for a successful Allied counter-offensive.